06 Şubat 2019 Çarşamba 16:01 - 4 reads. Still, the decision is not liked, whether or not it actually comes to the hard No Deal-Brexit. Many large media companies no longer want to wait, however, on whether the UK can, however, agree with the European Union to a common outlet line. On Wednesday, it was announced that Discovery Communications is taking the Brexit in advance. The subsidiary company, Discovery Communications Germany, the group in the Bavarian state Central office for New media (BLM) has made in Munich, the licenses for 19 stations. There are programs that are broadcasted in the Scandinavian countries of Denmark, Sweden, Norway and Finland. To, among other things, the Discovery Channel, for these four countries, and TLC in Denmark, Sweden and Norway, Eurosport Norway, Eurosport 2 Denmark. With the application list Channel 4, Channel 5, Channel 9, and Max, Fem and Vox. First, the British media service Broadband TV News had reported about it on Wednesday. The way to continental Europe are already gone, Turner Broadcasting System and NBC Universal Global Networks. In December 2018, the BLM approved the two media houses licenses for a total of twelve stations, including the Turner channel TNT in Poland and Romania, as well as the NBC programs Syfy and Scifi. In addition to the BLM or the Commission for admission and supervision (ZAK) has to approve the issuance of the license. the programs are not in Germany but in other EU member States are widely used, it does not matter, as the BLM stated: The state Agency is responsible, because the headquarters of both the applicant is based in Munich and the editorial decisions about which programs are also made here. In addition, the two companies have pledged to create at the start of operations under German license, also new in Munich. The EU country In which the license is granted, decides not to, since the license is then valid for the whole community. Based In Munich, also Discovery. With the end of the British EU membership is not applicable for the transmitter, the basis for the continued operation in the EU. Necessary for the submission of applications for licences under EU law, if the company were previously listed in the British media oversight authority, Ofcom. The sports channel DAZN has applied for his new license from the media authority of Berlin-Brandenburg. The company is led in Germany, in the Bavarian town of Ismaning, however, a branch with 15 employees, also exists in Berlin. With a decision on the DAZN license in mid-February is expected. 14. February falls in Munich at the next meeting of the BLM media Council of the decision on the application by Discovery. 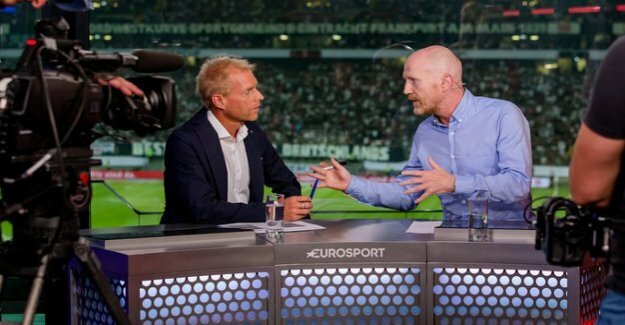 For in Germany to receive Federal-wide programs Discovery Channel, TLC, Eurosport 1 and the Pay-TV channel Eurosport 2, the German subsidiary of Discovery has the necessary licenses, such as the BLM announced on request. Also, the nationwide dissemination of the programmes has been approved, therefore, Animal Planet and Eurosport 2 HD Xtra. The application for the licenses, however, has also a financial aspect: "The approval for the event and nationwide dissemination of a television program is granted for an indeterminate period and is associated with a cost," clarifies the BLM on their website. The license for the Federal government is applied for wide broadcasting of a TV programme, so can cost up to 100 000 Euro. Cheaper it is, if the program is only transferred in the Internet. Then up to 10 000 Euro per license will be charged. For the Brexit licenses, the same amounts will be recognised, therefore, can amount alone, the cost for the applications in the case of Discovery Communications on up to two million euros.